Safety and Comfort - 6mm glass provides exceptional sturdiness; Large 12" x 12" platform, clear LCD display for your usability. 1-YEAR WARRANTY by 1byone. 1byone "Step-On" technology allows you to simply step on the scale and get your weights. No more tapping to activate the scale. 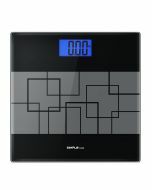 Note: Press the "UNIT" button on the buttom of the scale to select the desired weight unit. First, Use the scale on a flat, hard surface. Second, Keep the scale in a single location without moving it when the screen turns on.IMPORTANT NOTICE: IF IT'S THE FIRST TIME YOU USE IT OR MOVING IT WHEN SCREEN TURNS ON, please activate the scale, and wait until the screen turns off, and then stand on the scale. What's the error range of this scale? 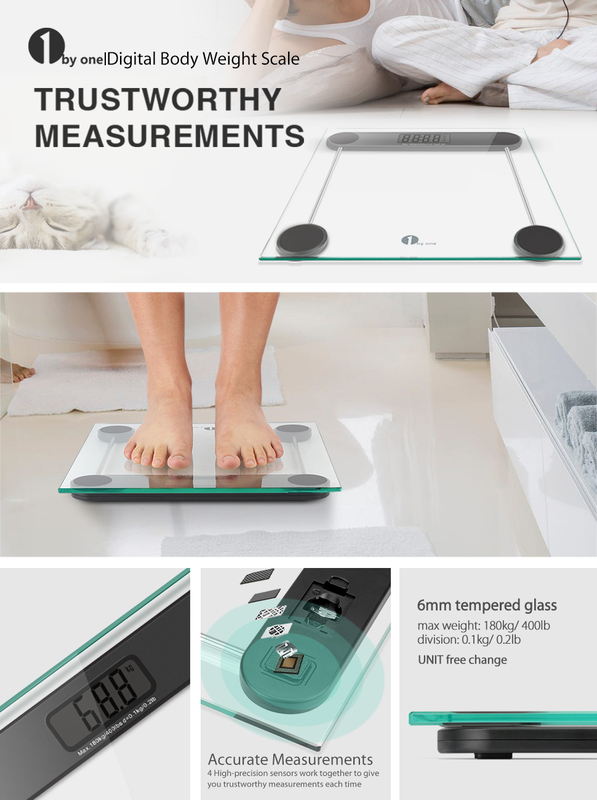 The error range of this scale is under 0.5kg(1.1lb), which is acceptable. If your weighing data is out of this range frequently in a short time, please contact us. Have some button for turn for kg? You can press UNIT button at the bottom of the scale.